Evo & Grace: The WanderLusts: The Break Time Facial of Bioessence. FACIAL Treatment is one of the early services offered by most salons or parlor anywhere, it is the best way to clean up our face from dirt of daily activities and different issues we encounter in everyday lives. 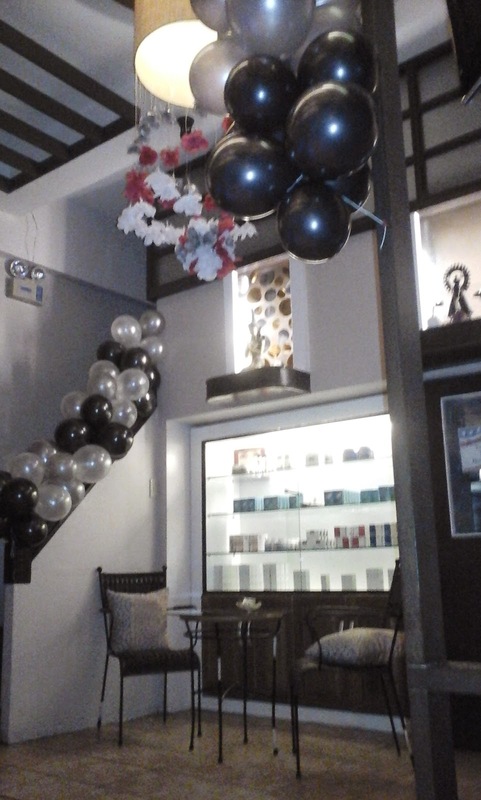 It is also one of the common offering in majority of the Spa’s/salon in the Philippines. 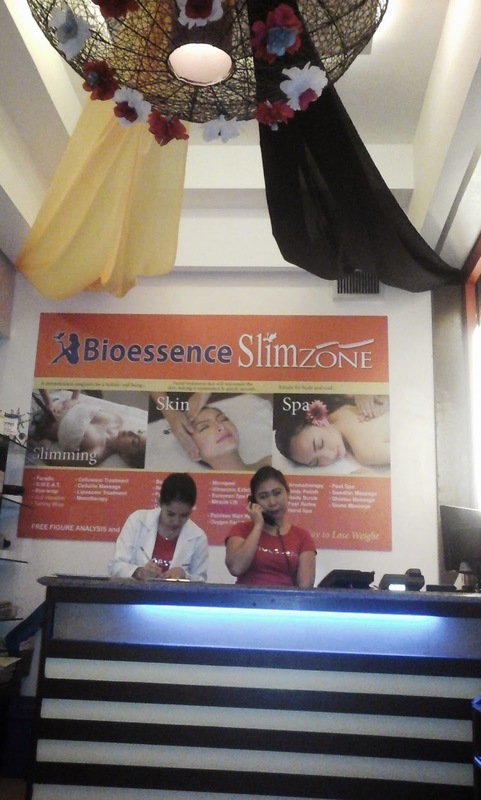 Bioessence, a 20 year old beauty clinic chain that started in Davao City is known for its facial services, it became their flagship pride for many years that they claim is at par with global standards due to the training of their staff abroad. Barely two weeks ago I personally availed of their famous services, the budget friendly Break Time Facial (BTFAS), according to their brochure it is a deep cleansing facial with extraction of blackheads and whiteheads, the time element usually last up to 30 minutes only. A day before I see to it I will make an appointment so there will be no waiting in line for me for this treatment, I texted their hotline number and luckily I got a reply but it is referring me to another branch in Greenhills, and not the branch I prefer near to me which is the SM Megmall branch. However I still try my luck in the Megamall branch since it is more convenient to me, and to my surprise the said branch told me that the premium pass I have is not honored in their branch and blame me for not calling them early in their land line for appointment, I am really surprise since the pass I receive don’t have such disclaimer. But my spirit is still high that Saturday morning, I go to the next option which is to travel to Greenhills Shoppesville branch in San Juan City which is recommended to me by their Hotline, I locate first a payphone to check if it’s possible to accommodate me and they said yes they can, so in 30 minutes time I’m already at the said branch waiting for the start of my desired treatment for the day. The very friendly lady staff who assist in my treatment explain to me the procedures of the said services that worth P350 (as of this writing) in any Bioessence branch. She start by massaging my face with care, followed by cleaning using a milk, and scrub portion to really cleanse some hidden pores. A skin toner is applied followed by a five minutes steaming using a machine. The next step is the extraction wherein dirt such as white and black heads is removes. You will feel in this part how careful they are in order not to get any wounds due to extractions. Thanks God I have oily skin so I don’t have much white or black heads. The finale is the applying of Vitamin C on your face followed by a neck and back massage. I would say it’s kinda fell short since you will not notice how fast those procedures are. But the feeling is something rejuvenating after, feel like my facial skin is so clean deep within and it could last a whole day just like that even if you exposed to too much pollution and dirt's. By the way no water washing directly on the face within five hour after treatment as per suggested by Bioessence. Bioessence has a total of 50 outlets nationwide (Philippines only). For any appointments and concern you can text their vanity number 0918-8-BEAUTY(232889). Or visit their website at www.bioessence.ph . Other services they offer are Oxygen Celebrity Facial, Acne and Purifying Facial, Swedish massage and a lot more. America’s Next Top Model (Season 17) winner Allison Harvard is Bioessence holistic ambassador or endorser for this year.